Sustrans has launched the Bike Life survey, the largest ever survey of attitudes to cycling in the UK. In Greater Manchester 4,000 people of all ages were randomly interviewed over the phone and 11,000 UK-wide. The consistent finding across all cities was that people want a lot more money spent on cycling provision – an average of £26 per head out of the current £300 per head for transport. People want to cycle but they just don’t feel safe enough. This entry was posted in News on November 5, 2015 by Rachel Lea. monitoring shelter capacity (one day per month). 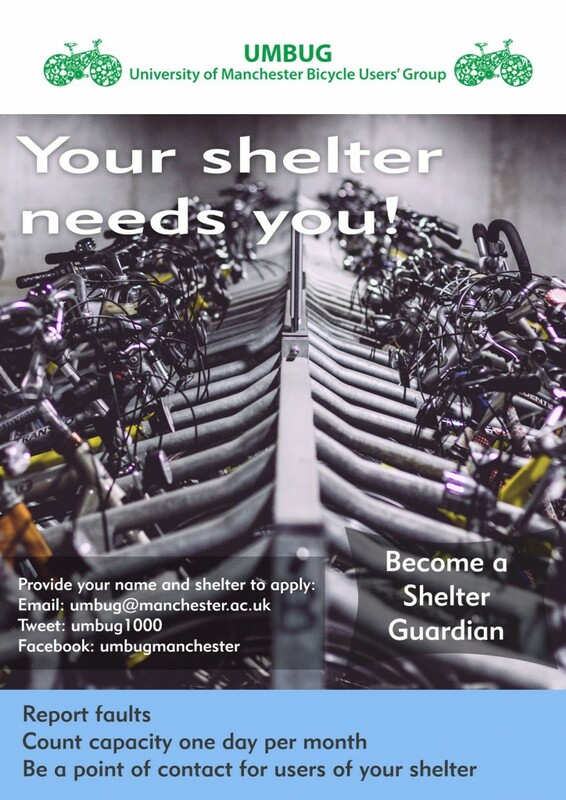 If you are interested in becoming a shelter guardian, please email umbug@manchester.ac.uk. This entry was posted in News on October 16, 2015 by Rachel Lea. Manchester Bike Hire have organised a test riding session with Italian e-bike manufacturer Moustache Bikes. If you would like to try an e-bike, please come along and invite any colleagues, friends or family that may be interested. You can find out more about their bikes here. This entry was posted in Events on September 11, 2015 by Rachel Lea. The latest Transport for Greater Manchester Life on 2 Wheels cycle challenge (formerly the Better By Cycle challenge) gets under way again on Thursday 3rd September 2015. Get out and about on your bike and log your journeys online for a chance to win prizes. TfGM’s Life on 2 Wheels campaign aims to encourage people to jump on their bikes and give cycling a try, whether it’s to save money, get from A to B, or stay healthy. The challenge is free to enter and you could be in with a chance of winning individual prizes throughout the challenge as well as workplace prizes for the 3 workplaces with the highest average number of journeys per participant. If you like a bit of healthy competition, you can see how you compare to your friends, family and colleagues on the leaderboards, including one for the University of Manchester (just remember to select The University of Manchester when you sign up – listed under T). This entry was posted in Events on August 19, 2015 by Rachel Lea. The Oxford Road bus priority works will begin on 31 July for eight weeks and have been timed to coincide with the closure of Oxford Road for the demolition of the Precinct bridge. The first step will be to build a trial bus stop on Oxford Road, below the Hathersage Road junction, opposite Whitworth Park. The stop will feature Manchester’s first physically segregated ‘Dutch-style’ cycle bypass which will pass directly behind the bus stop platform. When the trial stop has been built, TfGM will ask users for feedback so that they can monitor and evaluate how cyclists, bus users and pedestrians interact at the stop. The main work to transform Oxford Road is scheduled to begin later this summer. From 10 August to 6 September, Oxford Road will be closed between the junctions with Hathersage Road and Booth Street West/East to allow the demolition and removal of the Precinct bridge. During the road closure, there will be no pedestrian or cycle access under the bridge and alternative routes will be signposted. Find out more on StaffNet. This entry was posted in News on July 29, 2015 by Rachel Lea. The Edinburgh Bicycle Cooperative have organised a series of free evening talks for cyclists at their shop over the Summer. Each talk will last around 40 minutes followed by a Q&A and will include free refreshments. Advance booking is required. Registered blind athlete Steve Bate talks about his incredible achievements, which include climbing El Capitan solo (rated rock climbing’s toughest challenge), winning the national para-cycling road and time trial championships, and his road to the Rio 2016 Paralympics. Jamie Still is the organiser of the Great Manchester Cycle – a golden opportunity for 7,000-plus cyclists of all abilities to enjoy a unique cycling experience on closed roads in Greater Manchester. Who better to offer advice on getting prepared for this (or any similar distance) big ride? Tim Lawson is the man behind Secret Training and a founder of SIS. It would be hard to think of anyone better qualified to deliver an informed talk on sports nutrition. Inspiring local cycling advocate Amanda Phillipson is a Breeze Champion and a SkyRide Leader and Cycling Instructor. As the first female captain of South Manchester’s Withington Wheelers (established 1931) Amanda delights in dispelling the myth that cycling clubs are not welcoming to women. Manchester cycle lawyer Jane Bedford McLaren offers an insight into how the law affects UK cyclists, and how to protect yourself – both physically and legally. This entry was posted in Events on May 13, 2015 by Rachel Lea. 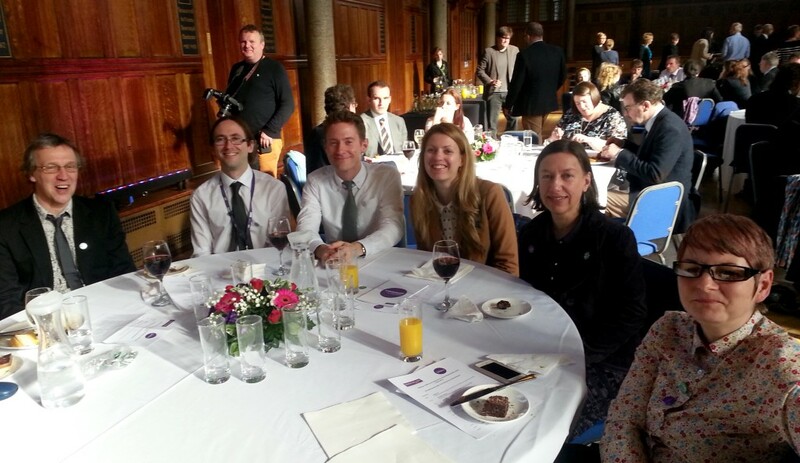 The UMBUG projects team were awarded Highly Commended in the Outstanding Contribution to Environmental Sustainability (staff) category at last night’s Making a Difference Awards organised by the Social Responsibility team. 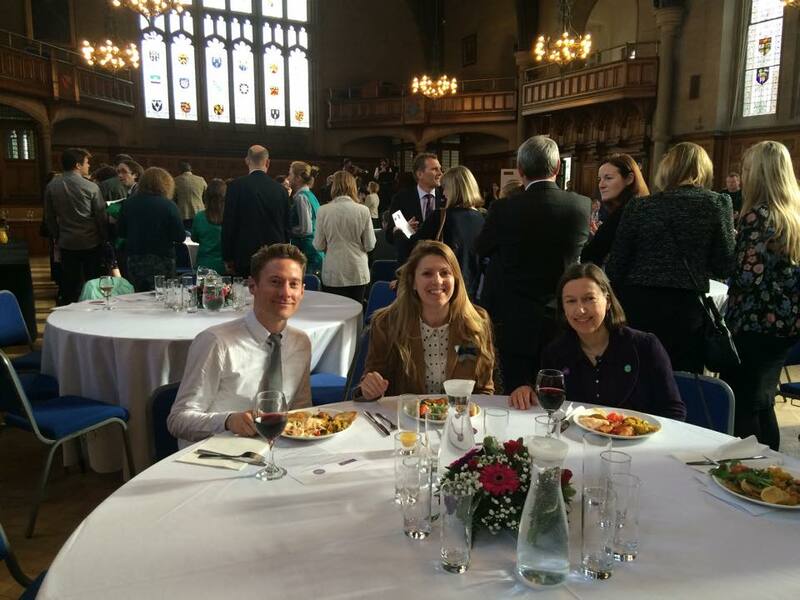 Congratulations to everyone involved in UMBUG and all the other inspirational winners and highly commended entrants. This entry was posted in News on May 8, 2015 by Rachel Lea. The University has developed its first ever ‘Give Your Car a Rest Day’ on Friday 19th June aimed at those staff that usually commute by car. The University will host thousands of visitors on 19th June for the open day and staff car drivers are being encouraged, where feasible, to make a change to their usual habits and leave their car at home. This is a great excuse to give cycling a go. The event will be promoted on Tuesday 12th May (11am to 3pm) in the ground floor foyer of University Place. Staff will be able to find out more about the travel options available and register for a Personalised Travel Plan. Of course, UMBUG will be there too to promote cycling. For the 60% of staff who already travel sustainably on a regular basis, including cyclists, there will be a special prize draw supported by the Environmental Sustainability Team and Student Recruitment. There are x4 £50 vouchers up for grabs on 12th May (Blackwells, Edinburgh Bicycle Co-op or Sweatshop). 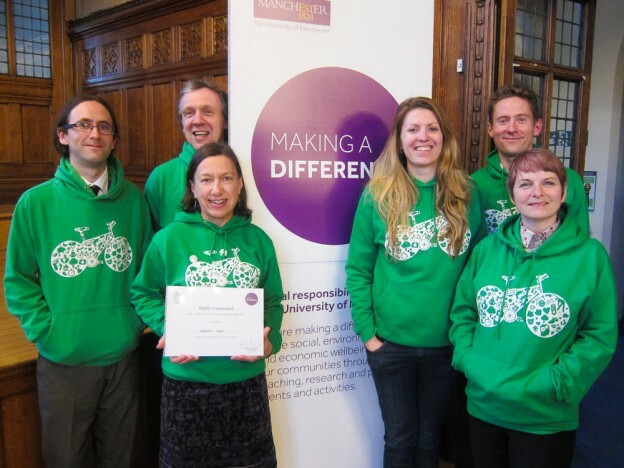 To enter, send a photo of yourself on your sustainable commute to Twitter or Facebook using #restcarUoM on 12th May by 1pm or visit the Environmental Sustainability stall on 12th May (by 1pm) with evidence that you travelled in sustainably (eg. with your bike helmet or photo). So please think about cycling to work on Friday 19th June, and encouraging your colleagues to do the same, and visit University Place on Tuesday 12th May for help and support. This entry was posted in Events on April 27, 2015 by Rachel Lea. 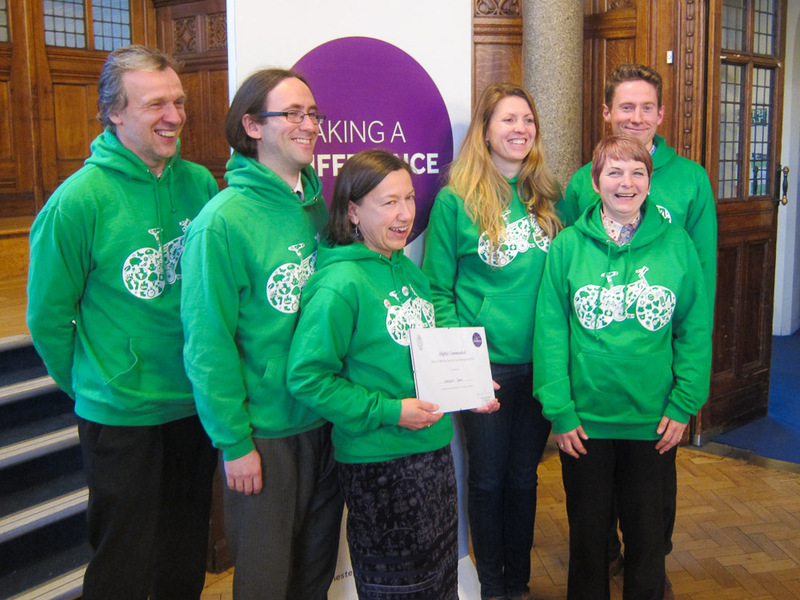 Would you like to get involved in helping TfGM promote cycling in Greater Manchester? Transport for Greater Manchester are holding a casting call for cyclists to appear in their new cycling campaign launching in June. TfGM are looking for people of all ages and backgrounds, who are comfortable in front of the camera to have their picture taken and be filmed cycling for a new TV ad. No modelling or acting experience is required, all you need is your own bike. All participants will be paid £150 + expenses. TfGM will be meeting with anyone interested between 20-24th April and the photo shoot and filming will be between 27th April and 1st May. If you’d like to get involved all you need to do is send a picture of yourself posing with your bike to mark.v@divacreative.com or call Mark on 0114 221 0378 for more information. This entry was posted in Events, News on April 10, 2015 by Rachel Lea.